Political Toaster: Election 2015: Who is Canadian? Immigration and Citizenship may not be the hottest topic on the campaign, but these are subjects that illicit some very strong reactions from many Canadians. The myth of the Muslim terrorist who claims Canadian citizenship but really has loyalties elsewhere is alive and real.The myth of the "Canadian of Convenience" who really just wants to rip off the taxpayer while they live elsewhere until they want the benefits of the Canadian healthcare system. The people who believe these things are almost hysterical in their belief that the people coming to Canada, often from very difficult circumstances, are actually coming to take over the country or otherwise attack us somehow. This sort of attitude is brought forward whenever a discussion of dual citizenship, expat voting, or immigration comes up. 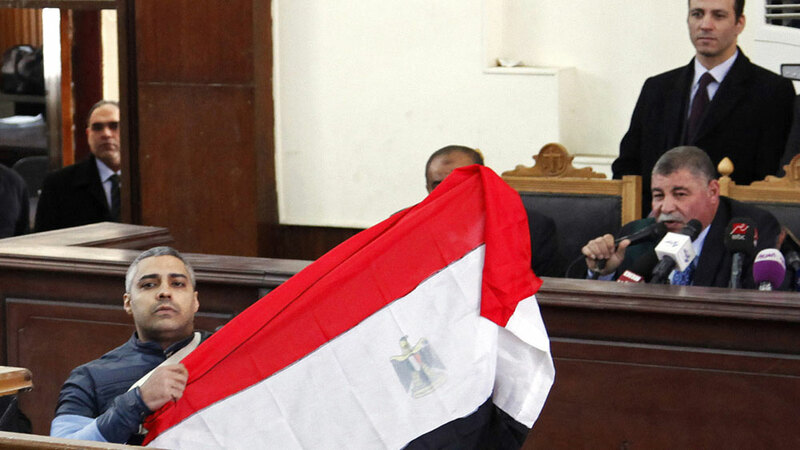 The case of Mohamed Fahmy is a prime example. This is a journalist and Canadian citizen (who was a dual national with Egypt) who was tried in Egypt on spurious charges, and the Canadian government, although calling for his release, has been doing very little to make it happen. The truth is that if Mr. Fahmy was Mr. Jones instead, he would already be back in Canada. But many Canadians seem to have very strange ideas about what Mr. Fahmy was doing in Egypt (his job as a journalist), and think he is a terrorist, based on absolutely no evidence to show he was in any way corroborating with a terrorist organization. He was in fact acquitted of terrorism charges and then found guilty of "not register[ing] with the country's journalist syndicate...bring[ing] in equipment without the approval of security officials, broadcast[ing] "false news" on Al-Jazeera and us[ing] a hotel as a broadcasting point without permission." These do not sound like crimes worthy of three years in an Egyptian prison. Yet many Canadians simply do not believe this man is even Canadian, because he was living in Egypt doing his job and held two passports. This is also part of the reason why many people support the new rules that create a two tiered citizenship for Canadians, which the government can arbitrarily decide to revoke citizenship and essentially abandon someone if they are found guilty of a terrorism offence, instead of actually taking responsibility for our citizens, even if they do terrible things. It also leaves room for horrible injustices to take place, as we have seen with some high profile cases in the past like Maher Arar, who under these current laws could well have had his citizenship revoked. The people who support C-24 are the same people who have no qualms with the way that Omar Khadr was tried, imprisoned, and tortured for years with no assistance from the Canadian government. Too blinded by their own racism to realize that Muslim people are human beings, and that Muslim Canadians are Canadians too, and deserving of all the due process rights that affords. How someone became Canadians is irrelevant. Why they became Canadians is irrelevant. How much time someone spends in Canada is irrelevant. If you can hold a Canadian passport, you have the rights of a Canadian, and that means that the government has a responsibility to you no matter what. There are no classes of Canadians, just Canadians.